9. "Kepler's Harmony Of The Worlds"
10. 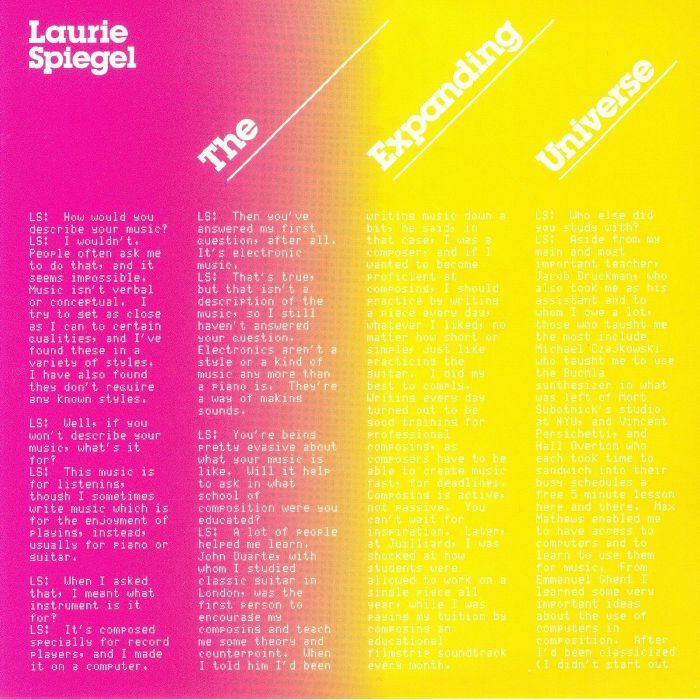 "Wandering In Our Times"
Since it first appeared in 1980, computer music pioneer Laurie Spiegel's debut album, "The Expanding Universe", has become something of a cult classic; an acclaimed, avant-garde masterpiece loved by ambient heads, experimental electronic freaks and neo-classical enthusiasts alike. 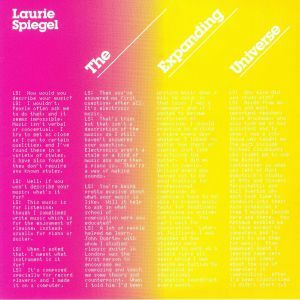 Listening to this expanded reissue, which also includes 15 other rare or previously unreleased Spiegel tracks recorded around the same time, it's easy to see why. Sitting midway between the synthesizer works of Terry Riley, a computerized take on "Berlin School" ambient and electronica records produced years later, the music is becalmed, inspired, mesmerizing and otherworldly in equal measure. The title track, a near 30-minute epic of slowly shifting ambient electronics, is particularly memorable.